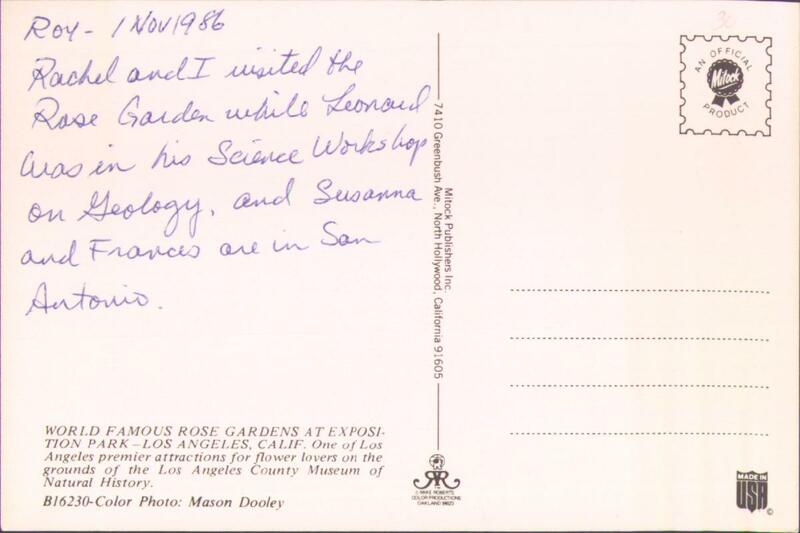 Rachel and I visited the Rose Garden while Leonard was in his Science Workshop on Geology and Susanna and Frances are in San Antonio. 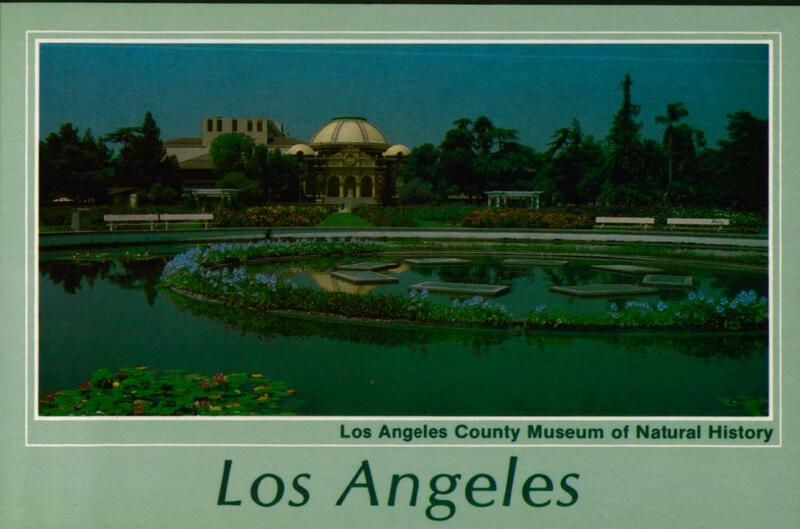 WORLD FAMOUS ROSE GARDENS AT EXPOSITION PARK &MDASH; LOS ANGELES, CALIF. One of Los Angeles premier attractions for flower lovers on the grounds of the Los Angeles County Museum of Natural History. Only seven years old and I was being invited to workshops on geology. How did I squander this talent?